AP Computer Science Principles prepares teachers to teach an Advanced Placement level course. Computer Science Foundations is a introductory level course that prepares students for future study a variety of fields, including computer science, cybersecurity, web design and networking. CodeVA’s training program uses the Exploring Computer Science curriculum. It was developed around a framework of both computer science content and computational practice. Assignments and instruction are contextualized to be socially relevant and meaningful for diverse students. Units utilize a variety of tools/platforms, and culminate with final projects around the following topics: Human Computer Interaction, Problem Solving, Web Design, Programming, Computing and Data Analysis, and Robotics. 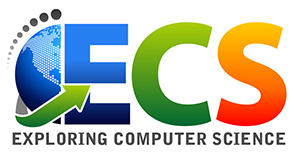 Developed at UCLA in partnership with the Los Angeles Unified School District, the Exploring Computer Science curriculum is the National Science Foundation funded project to expand participation in computer science. It is the foundation of Computer Science for All. The curriculum is a complete day-by-day curriculum, and a unique professional development to help you implement it in your classroom. The initial training takes five days over the summer and four follow up Saturday sessions during the school year. Curriculum is included for free as a part of the program. AP Computer Science Principles is a college level course that covers the foundational concepts of computer science and challenges students to explore how computing and technology can impact the world. This new AP course was launched in 2016 with the intention of opening computer science opportunities to more students. Developed in a partnership between the National Science Foundation and College Board, the new AP Computer Science Principles class is intended to provide a rigorous and relevant look at the dynamic field of computer science. 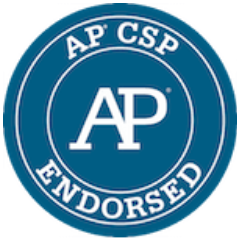 To launch this course College Board partnered with universities and organization to provide “AP Endorsed” curricula that include classroom materials and robust training programs. CodeVA’s training program is provided in partnership with Code.org. Our training team are experienced high school AP Computer Science teachers who have worked for College Board as graders. The initial training takes five days over the summer, and four follow up Saturday sessions during the school year.